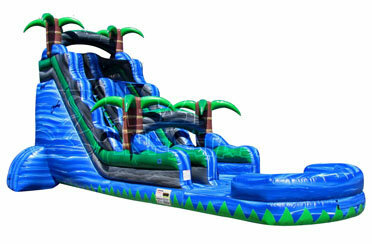 This Blue Lagoon water slide is perfect for your next tropical themed party. The palm trees will make you want to just sit back, relax and enjoy an ice cold umbrella drink (or snow cones, available in our party accessories). 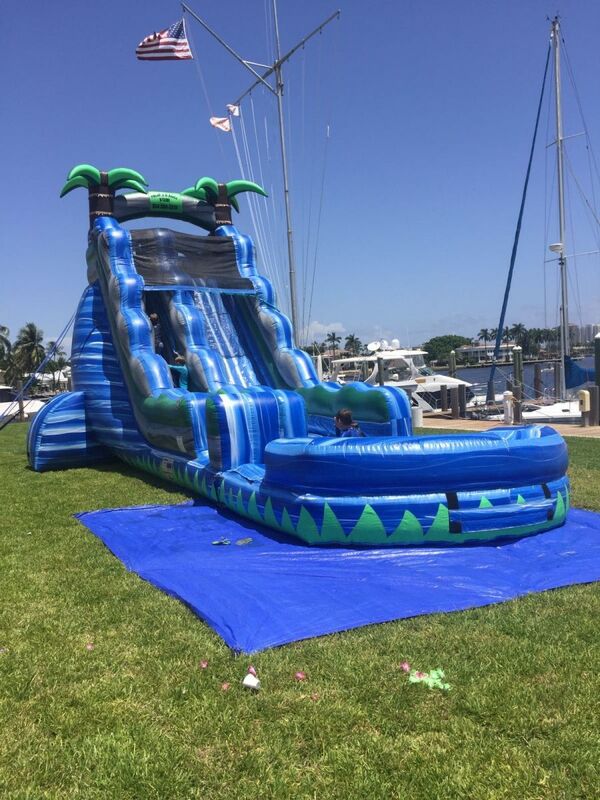 Children climb the inflatable slide on the left of the unit, and slide down the 25 foot drop into the inflatable pool below.